Lucifer is not having a good day. He looks like he's full of regrets. Will he decide to just go back to ruling Hell like his dad wants him too? Who's in the hospital? Is it Dr. Linda? What happened to her and why? What will Lucifer do? Will Dr. Linda be okay? We've all seen the previews. Something happens to Dr. Linda, but what? 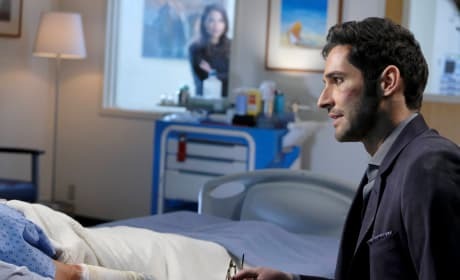 If it's something super serious hopefully Lucifer will be able to save her! Could Maze be talking to another therapist now that Dr. Linda is out of service? No one compares to Dr. Linda, so Maze will probably not be satisfied with her session. Poor Chloe is about to get her heart broken again and she doesn't even know why. 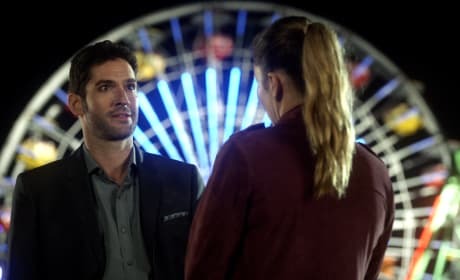 Isn't it about time Lucifer shows her something so she'll believe he's really who he says he is? She needs to be in on the big secret now. 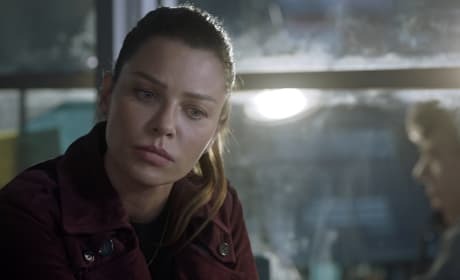 If Lucifer leaves Chloe again, there's not going to be any chance of them getting together. She just won't be able to deal with it. 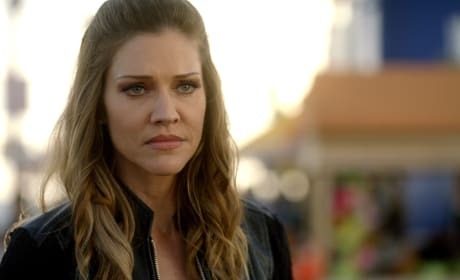 What reason will Lucifer give her for leaving again? 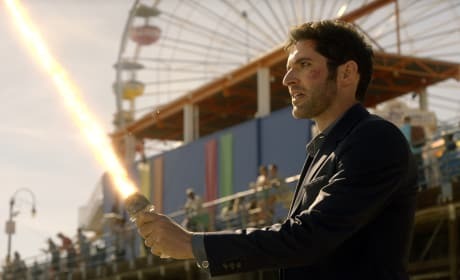 It looks like Lucifer is at an amusement park, but he doesn't look like he's having any fun. Is he ready to go back to heaven with Charlotte and Amenadiel? The Flaming Sword looks to be flaming, but he might be having second thoughts. Charlotte looks like she's having second thoughts about returning home. Is she going to miss all the fun she had on earth? 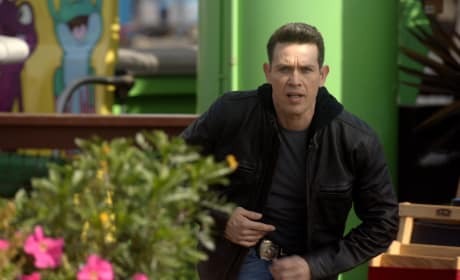 Is Dan following Amenadiel to see where he's going? Will Dan find out the truth? Will he believe it if he does? 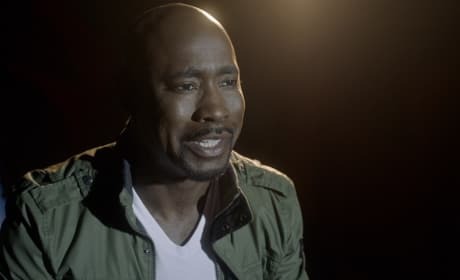 Did Amenadiel tell Dan the truth or did he make up some reason why he's going away? It's too bad if Amenadiel really leaves because him and Dan were having a great bromance. Amenadiel looks very happy here. He probably can't wait to get back to heaven where he belongs. And knowing that he's dad's favorite is surely making him happy as well. Lucifer looks a bit nervous. Is he in Dr. Trixie's waiting room? Maybe he's just freaked out because mom and Amenadiel have gone missing. Did they go back to heaven without him? I have a smaple of your blood and I'm going to test it and find out exactly what you are once and for all. Never fear. Fun brother's here. Permalink: Never fear. Fun brother's here. 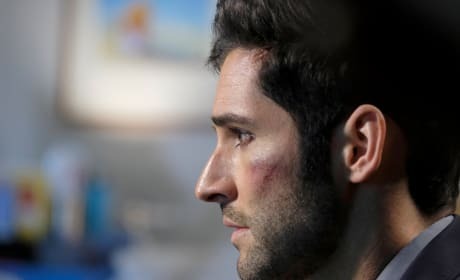 Lucifer Photo Preview: Gone Forever? Lucifer Season 2 Promo: Will Mom Spoil the Fun? 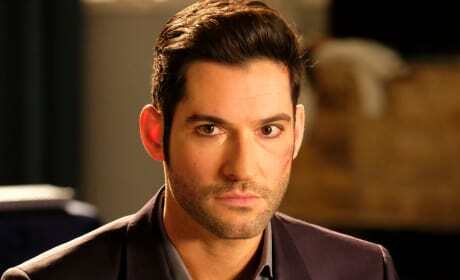 Lucifer Season 2: More Cocky, More Scared, Mum Is In Town!